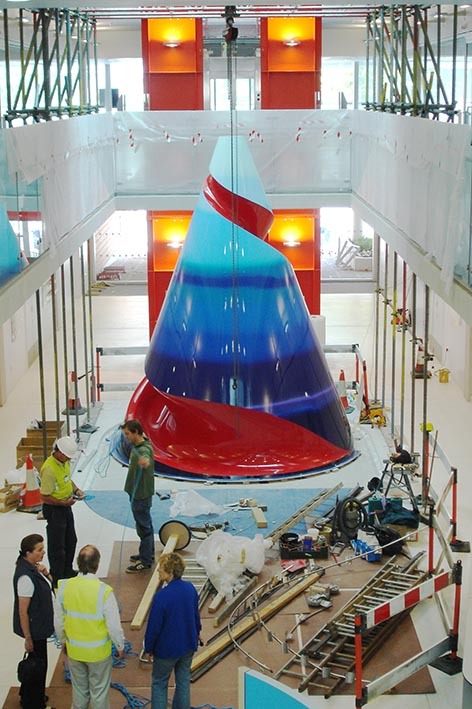 It was a great challenge to conceive of a sculpture that was also a helter-skelter. 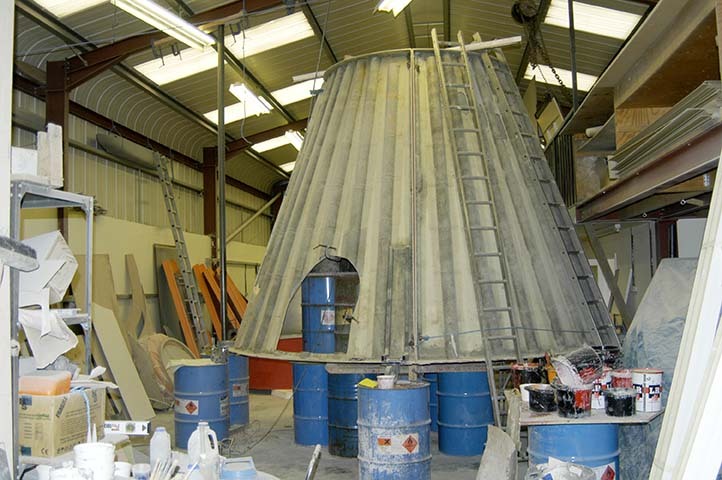 To mould a spiral slide into a cone was an extremely complex technical problem. 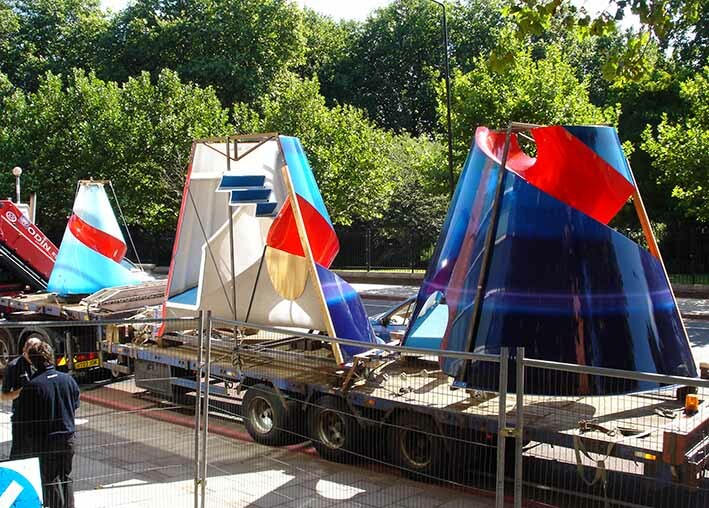 This was solved in a masterful and economic way by Peter Walde of Westward Mouldings Ltd. Once Lijn had agreed a 10:1 scale fibreglas model, Peter cast the slide in 24 sections. 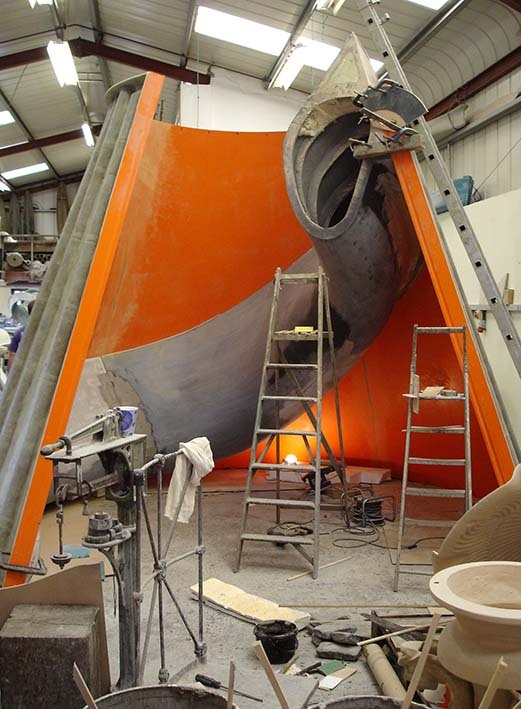 The slide, in separate sections, was then fixed to the inside of the main cone mould. In order to reach the final cast, 3 separate molds were taken of each section. Each casting of a new mold allowed us to improve the final form. Starslide had to be made in 3 separate sections; a 2 m top section and the 3 metre high base section split into 2 pieces from top to bottom. They had to do this in order to get the sculpture into the building, where the 3 parts, once hoisted into position, had to fit perfectly together again. The slide is a red gelcoat, the colour being integral with the resin. 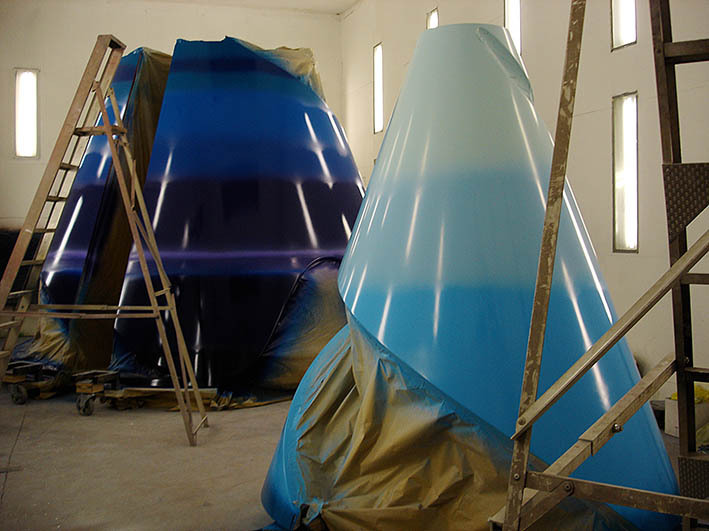 The cone has been sprayed with a twin pack fire resistant base coat and lacquer in a striated blend of violet and blues. Lijn did this to suggest both the ocean which is the emblem of the ground floor of the hospital and the magic mountain which is the traditional place of healing. Red is the colour of life.